We need a way to share annotations, error-corrections of the literature (and open standards) as we analyse DNA variants of unknown significance (VUS) as well as re-analyse known variants in the context of modifier genes and environments. Whole genome sequencing (WGS) has advantages over SNPs, targeted genes and exomes, even if we restrict ourselves to known, highly predictive variants. For example, inversions and translocations in the middle of genes are nearly guaranteed to cause loss-of-function, yet these DNA lesions are nearly impossible to detect using chips or exons -- vs straightforward access to such information by WGS (especially CGI-LFR or Illumina-Moleculo). 2012 A Public Resource Facilitating Clinical Use of Genomes. PNAS. 2012 Accurate whole genome sequencing and haplotyping from 10-20 human cells. Nature. 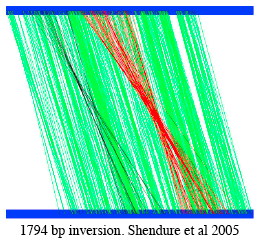 2006 Assaying chromosomal inversions by single-molecule haplotyping. Nat Methods.